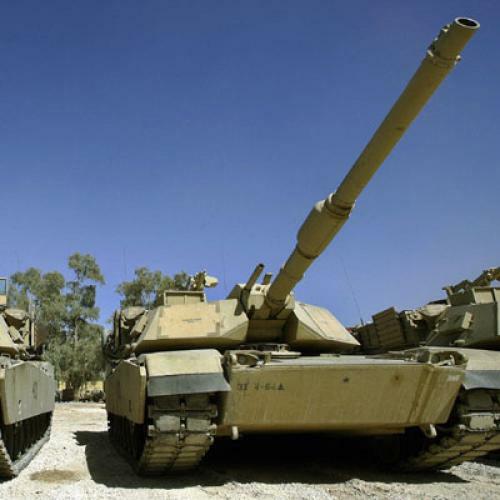 Military Spending as Fiscal Stimulus? The focus on domestic economic policies in the 1930s and the desire to remain militarily neutral delayed the major military buildup that eventually achieved the economic recovery. The administration’s current budget point to a one‐fifth reduction in the share of GDP devoted to defense over the next decade. In light of the increased range of adversaries and threats that the nation now faces, there are likely to be substantial national security benefits to increasing the share of GDP devoted to defense and other aspects of international security. But Feldstein's notion that military spending "eventually achieved the economic recovery" is debatable. Fellow conservative Harvard economist Robert Barro has argued that increased military spending during WWII actually depressed other parts of the economy. Although defense spending has seen a relative decline over the last 60 years, the U.S. is still the #1 military power in the world. It's also hard to see an obvious correlation between military spending and GDP. And, pace Feldstein, the problems associated with the current War on Terror seem to have resulted more from lousy decision-making and oversight than a shortage of funds. So it's really hard to see why a larger portion of the already strapped budget should be devoted to the military.